With a mandate in 1968 from Dr. Martin Luther King Jr. to bring national attention to the problems of injustice and poverty, a singularly courageous and dedicated woman has been pursuing that purpose ever since. Named after the iconic singer and civil rights advocate Marian Anderson, Marian Wright Edelman grew up in the South and, early in her life, became involved in the movement for racial equality—a passion that led to her arrest in 1960 at an Atlanta, Georgia, sit-in. That event prompted her to study law. Edelman established a public interest law firm known as the Washington Research Project, from which emerged the Children’s Defense Fund in 1973. One of its numerous programs, Freedom Schools, has reached many thousands of children across the nation, building self-esteem and helping them to fall in love with learning by bolstering reading skills. 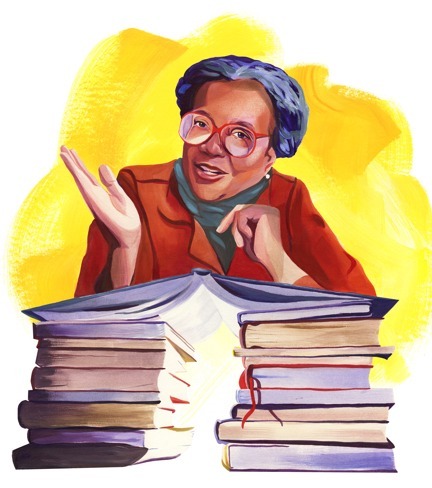 But with Marian Wright Edelman, helping children means nothing less than a full-scale assault, on all possible fronts. The numerous recognitions awarded Edelman for her work on behalf of children, as well as the broader spheres of human rights and social justice, include a MacArthur Foundation Fellowship, the Albert Schweitzer Humanitarian Prize, and the Presidential Medal of Freedom—the nation’s highest civilian award—not to mention more than 100 honorary degrees. Education is a consistent theme that weaves through Edelman’s work and her writings, which include nine books, such as the New York Times bestseller The Measure of Our Success: A Letter to My Children and Yours, as well as a weekly column for The Huffington Post. Don’t ever stop learning and improving your mind or you’re going to get left behind. The world is changing like a kaleidoscope right before our eyes. The legacy of Dr. King is very much alive today, and Edelman lives and breathes that legacy. “With phrases like ‘judging by the content of my character, not the color my skin,’ Dr. King helped us reconceptualize a vision of what America could be. He had the courage not to strike back at brutality and reclaimed for us the potent weapon of nonviolence,” she says. Having long been engaged on the front lines of the battle to improve conditions for others, Edelman has personally exercised that weapon, particularly on behalf of the most disadvantaged. In 1985, for example, she was among those arrested outside the South African Embassy in Washington for protesting apartheid. Or, as she wrote in “A Letter to Dr. King,” on the 40th anniversary of his passing: “You blessed America with your rich faith, spiritual traditions, and prophetic preaching. … You left us your unrelenting commitment to justice for the poor and every one of God’s children. You showed us the way through your example and call for massive nonviolent action in the service of justice and peace. And you gave us your life.